You are here: Home / Blog / Is Goal Setting Godly? This is one I struggle with. Typical goal setting advice encourages us to discover what we want for our lives, make a plan, and go for it. I’ve tried that route and when what I want doesn’t line up with what God has for me, even if I achieve the goal, it ends up being meaningless. As Christians, we long to be in God’s will, following His plan, not our own. But how can we be sure the plans and goals are from God and not our own selfish desires? Are we hearing from God? Are the desires of our heart truly His plan for us? It comes down to faith. Do we have the faith to believe that what we long for, our dreams and passions, are the things God planted there? 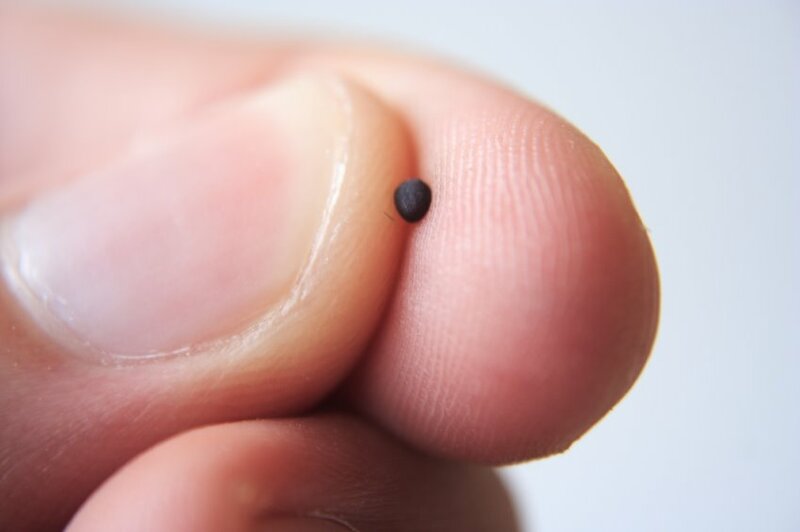 Many of us would say we don’t have enough faith, it feels smaller even than the mustard seeds shown above. Hannah Whitehall Smith, in her book The Christian’s Secret of a Happy Life writes that faith is not a tangible feeling or even “an inward gracious disposition of heart.” Faith is simply believing God. If you believe Him, you have faith. She compares it to having eye sight. If you can see, you have eye sight. You don’t close your eyes, focus on your inner self and try to “feel” your vision. In fact, at that very point, you’ve lost it. No, you can tell you have sight because you see the world around you. In the same manner, you can be assured you have faith because you believe in God and His promises. Psalm 37:4 is a verse I’m sure you’ve heard: “Delight yourself also in the LORD, And He shall give you the desires of your heart.” He promises to give us those things we desire. But, hold on to your hat, because one day I realized something that totally changed my life. If you look at the original language of this verse, it reads “…He shall give you the desires FOR your heart.” When we dedicate ourselves to delighting in the Lord, those dreams, goals and passions we find in our heart are put there by Him. They aren’t of our flesh. He gives us those desires because they are the things He wants to achieve through us. How can you strengthen your belief in God? Go back to that verse in Psalms – Delight yourself in Him. The idea of taking delight in anything has its roots in longing for something, like a women enticing and alluring the one she loves. If you were planning on wooing a man, your thoughts would be about him and what pleases him. You would make the effort to take an interest in the things he is interested in. You would spend time with him, getting to know his thoughts, his like and dislikes, and his dreams. Taking delight in the Lord, spending time with Him, talking with Him, reading and meditating on His word, loving the things He loves and avoiding the things He hates, will fill your soul with the image of Him. His Holy Spirit will plant the seeds that become the desires of your heart. Set your goal to delight in the Lord, to seek His heart and to make His will your own. Then you will know for sure the goals and dreams in your spirit are from Him. For next time: Owning up to our expectations – Does living in God’s will guarantee success?